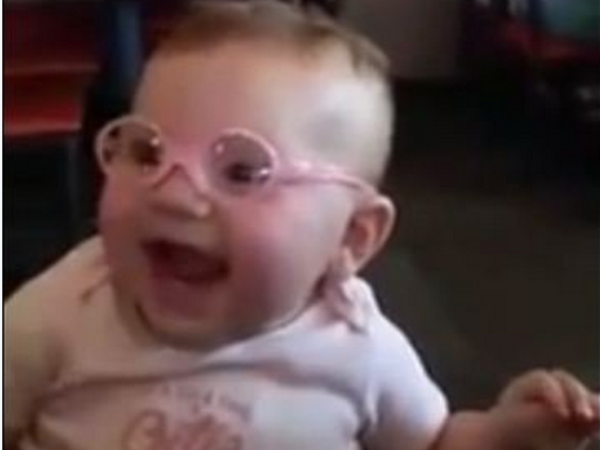 Watching Baby Piper try on her brand-new glasses for the first time will melt your heart. Her mom, Jessica Sinclair took to Facebook to share the reaction her daughter had when the adorable baby saw her parents clearly for the first time. “Picked up her glasses. Went out to eat and put them on her. Her reaction melts my heart (sic)”, wrote Jessica, with a smile emoticon. At first, Piper was not keen to put the glasses on. But everything changes when her mom finally got the glasses on!